Well, we are happy to say if you are reading this article, you have already found us! 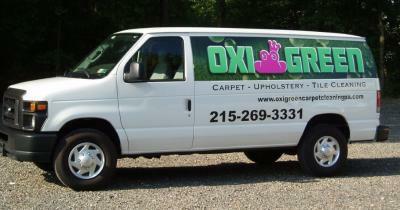 OxiGreen in Southampton, PA is a 100% green carpet cleaning company! Are we talking about the color of your carpeting? Of course not! We’re talking about being a company that uses only 100% green cleaning agents in our carpet cleaning process. All the cleaning agents we use are completely biodegradable. They are safe for the environment, and especially safe for your family! We will never left behind any toxic residue in the fibers of your carpets, because we will never use anything toxic to clean them! We pride ourselves in being a pet and baby safe carpet cleaning company. While our process is 100% green, it is also highly effective in cleaning your carpets. Our modern, truck-mounted cleaning machines reach deep into the fibers of your carpets to dislodge the dirt, bacteria, dust mites and other allergens hiding there. While most average vacuums and carpet cleaners miss this deep down dirt, we certainly do not! When our machine extraction process is finished, we will have removed this debris right along with 98% of the water. This cuts down the drying time to as little as an hour, depending upon your particular carpeting. No need to disrupt your regular routine for long! For a green carpet cleaning, contact OxiGreen in Southampton, PA today at 215-269-3331. Our friendly customer service reps are available to answer your questions and schedule a free in home carpet inspection for you. You may also visit our website to learn more about the other interior home cleaning services we offer, including carpet stretching and repair, pet odor removal, tile and grout cleaning and more. Call OxiGreen today for a 100% green carpet cleaning!